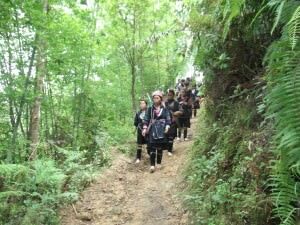 Hiking in Sapa Vitenam – Part 1 – Sapa to Ta Van – outstanding scenery! 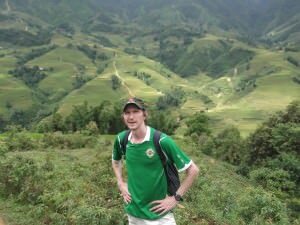 Hiking in Sapa in Vietnam is outstanding. It’s totally worth a trip, and something which would be a real shame to miss. 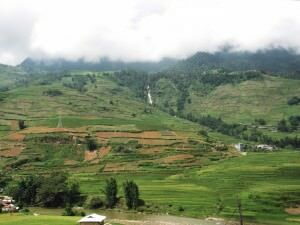 The best thing about it is – it’s an EASY hike, no difficult terrain, amazing views and very cheap. All in all, this is one of the best hikes you could do as a backpacker for those very reasons. There are countless tour operators in Hanoi offering the hiking trips. 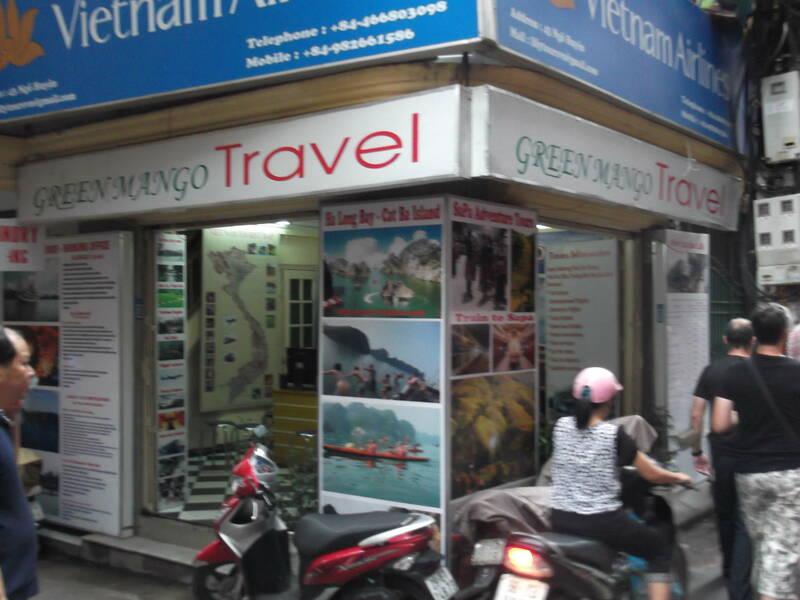 I used Green Mango travel who don’t have a website (a lot of them don’t) as it was close to my hotsel, the Hanoi Backpackers. 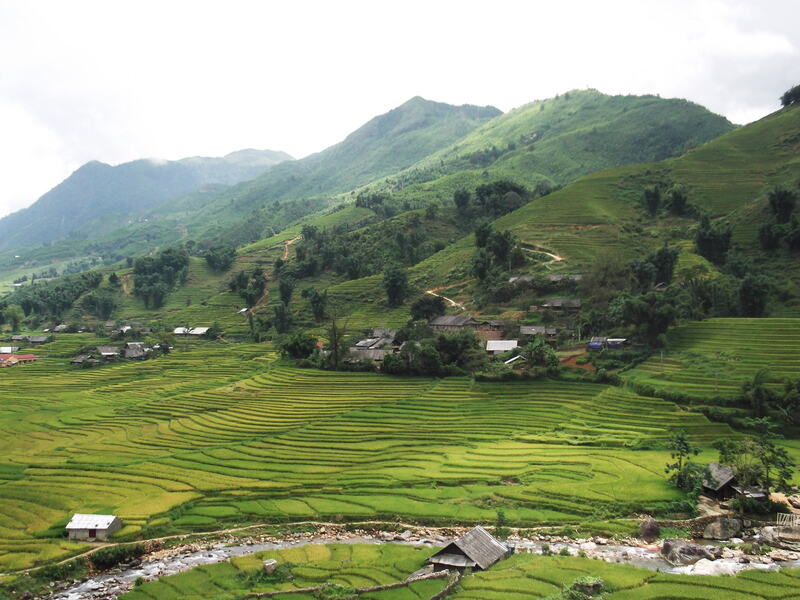 So you can either book it in Hanoi or just turn up in Sapa and book it. The reason I booked mine in Hanoi was just that I was pushed for time and I got the tour operator to organise my trains and buses too. You’ll save money if you shop around in Sapa. 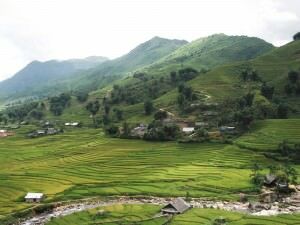 How much does hiking in Sapa cost? Roughly $30 US Dollars which includes your overnight stay, the guides, breakfast, lunch, dinner on Day 1 and Day 2 (so 6 meals). Not too bad at all. I didn’t give a tip as the guides seemed to skip some of the things that were written on the tour. It was still great value. You can get the 2 day hike including all your food for around $30 US. The hike I did was a simple 2 day hike. 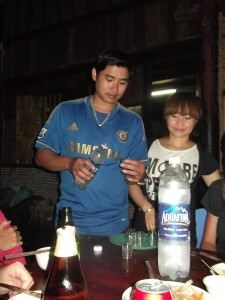 You stay with a homestay or local family. 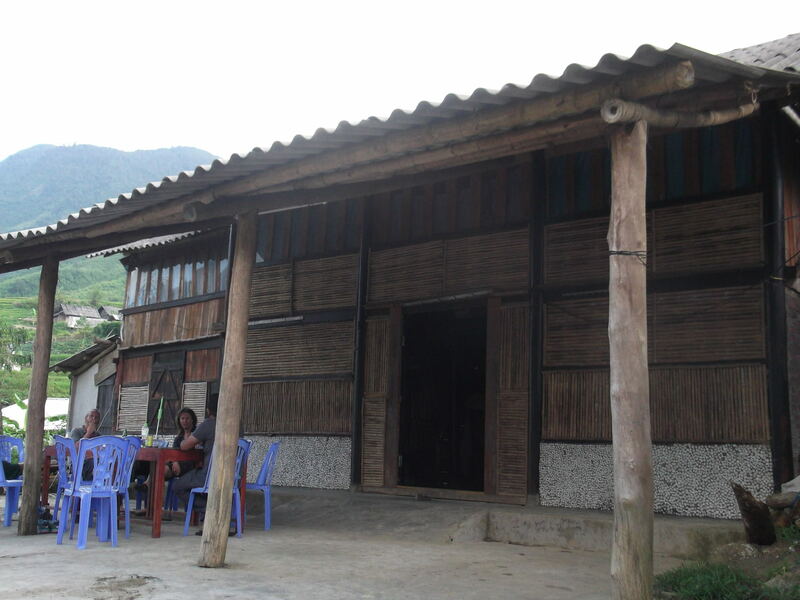 We stayed in the village of Ta Van which has lots of homestays. It will be included in your tour. You could probably just turn up and hike it on your own and get a cheap place to stay, though I didn’t hear of anyone doing that. What does the hike entail? 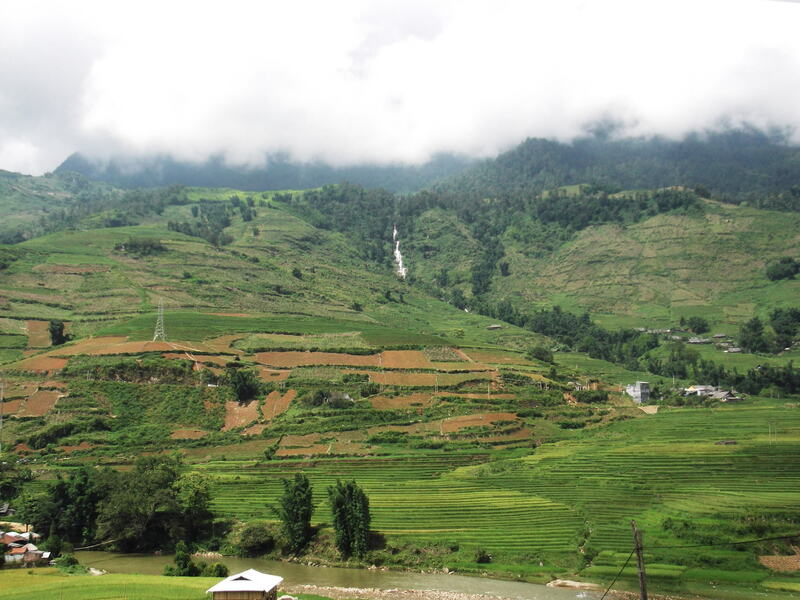 7 am – Breakfast in the Sumit Hotel in Sapa (amazing views). 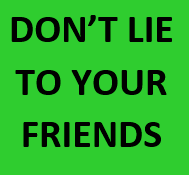 8.30 am – Assemble in hotel lobby and meet the others. 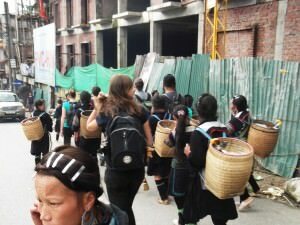 9 am – Start the hike by walking out of the town of Sapa, we are joined by a local tribe who accompany us, but in reality they are just locals looking for money. 10 am – Start the descent down into the valleys with epic views. 11 am – Short break for water and snack. 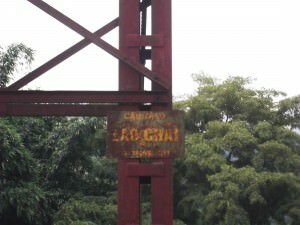 12.30 pm – Arrive in the village of Lao Chai (not to be confused with Lao Cai the bigger town) where we have lunch in the local restaurant, run by a guy from England. 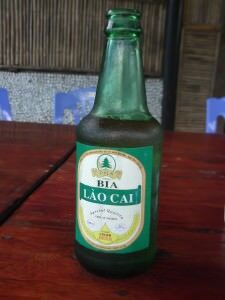 A few of us buy a beer (Lao Cai Beer) which costs $1 extra. 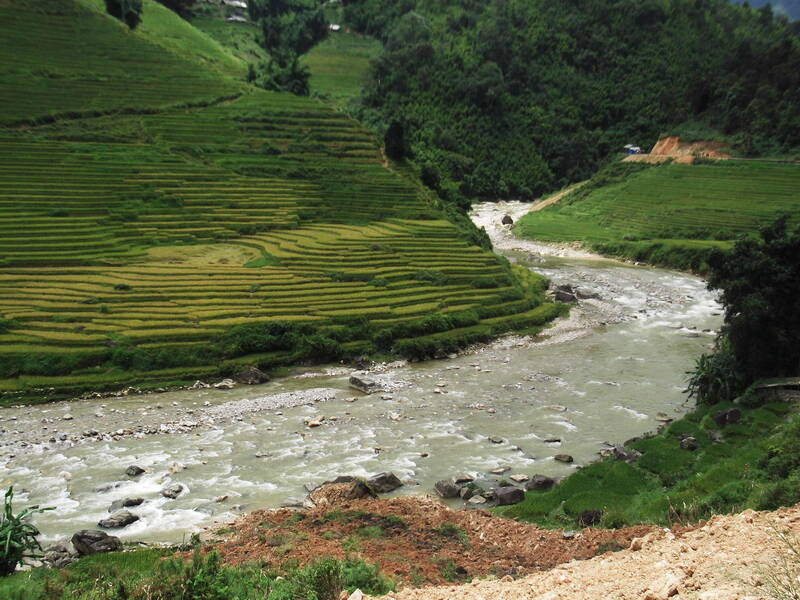 1.30 pm – Continue on our hike over rivers. By the point the tribe that followed us have left. 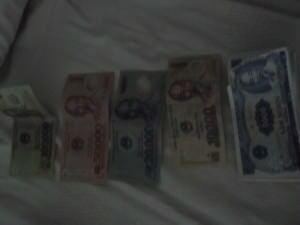 We paid them some money for parting gifts, less than 50 cents. 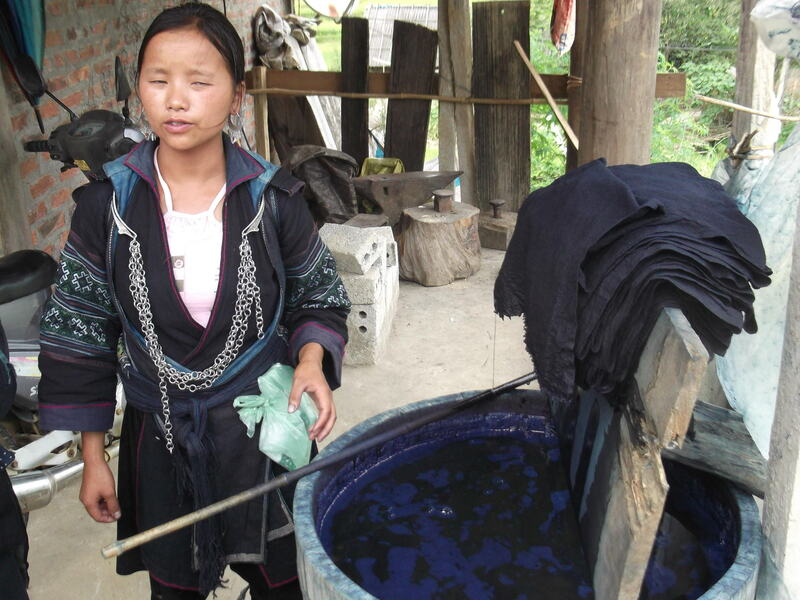 2 pm – We stop randomly on the hike to be shown how indigo dye is used by the locals here to dye the colour of cloths. Between Lao Chai and Ta Van we are shown how blue indigo is used to dye cloths. 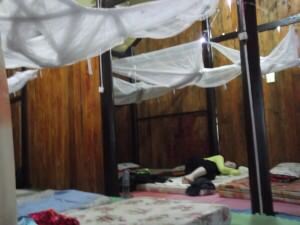 2.30 pm – So early, the hike actually ends and we check into our homestay. We were all completely shocked by this – it was so early but we relaxed. The views on the way down to our homestay at Ta Van – incredible! 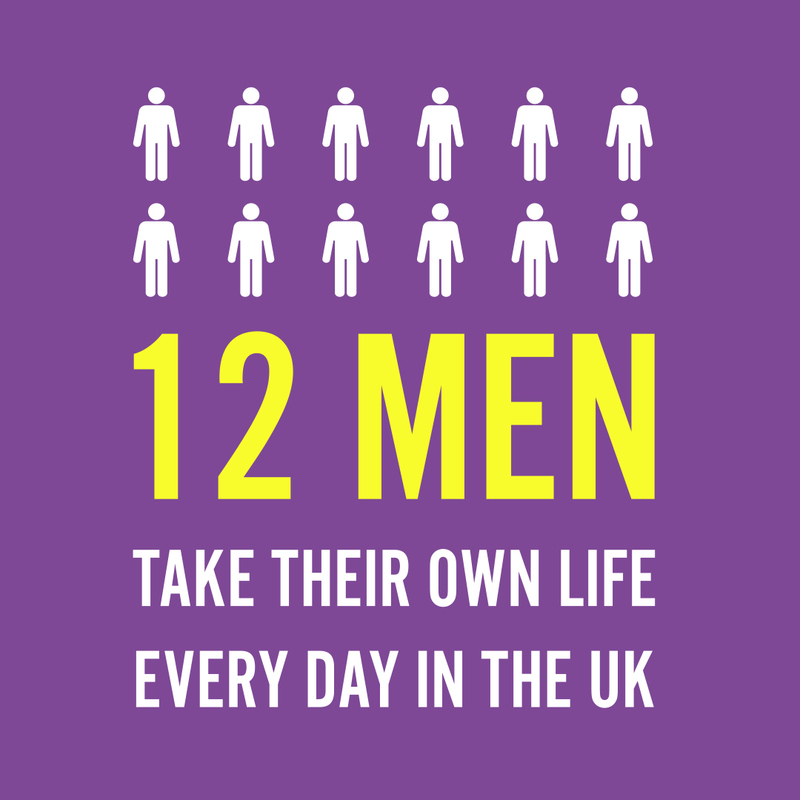 Afternoon – Showers, relax, lie down, chat over beers with the group and meet our family who are hosting us. They didn’t say much! I enjoy chatting away to my hiking buddies – a great crew 4 Italians, 1 German and 1 Malaysian! 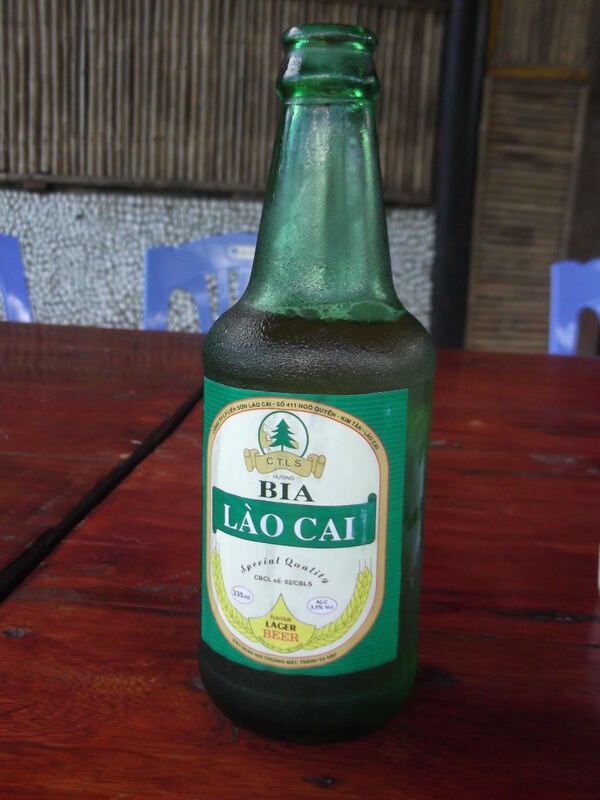 5 pm – Just before dinner we were served bowls of chips (French Fries) and then I headed to a bar in Ta Van on my own for a relaxed beer – The Bamboo Bar. Nobody else in my group came for a beer and the bar is basically empty. 7 pm – The sun has set and we congregate round the table for dinner. It is an all you can eat treat! 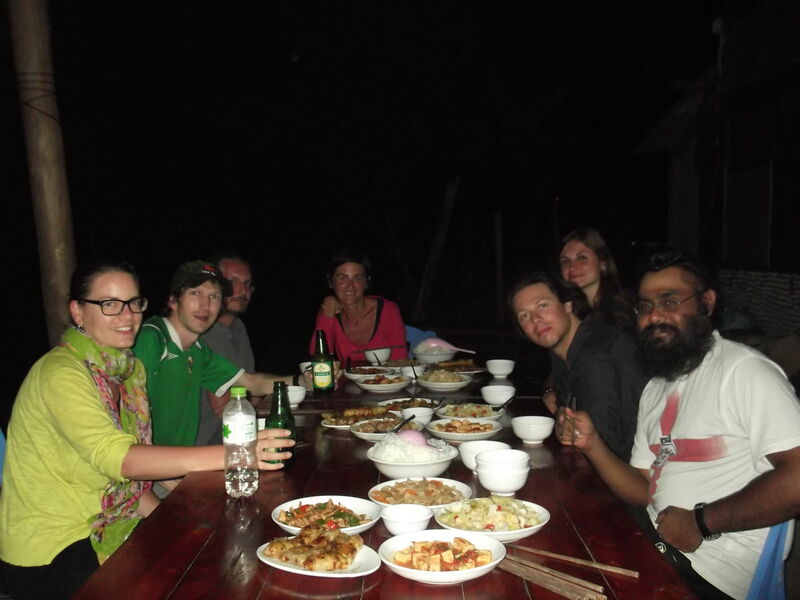 Ready to tuck into the evening feast at our homestay! 8 pm – We get given some free Rice Wine and a few of us buy beers and drink away. Our table at the homestay for dinner and drinks in Ta Van! 11 pm – I decide to have an early night and head to bed. Other than that, head there yourself and do it! It’s a great hike! 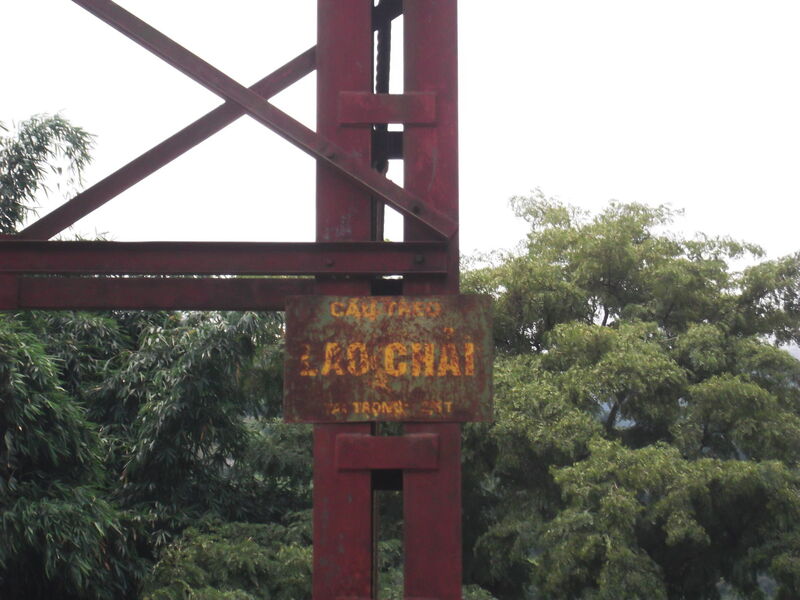 This entry was posted in Asia, Sapa, Ta Van, Vietnam. Bookmark the permalink. 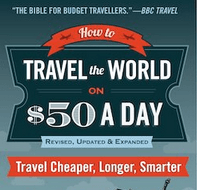 ← Top 6 Ways to Save TIME When You Travel! Thanks for the info, Jonny! Yeah, our plan is to cross over into China afterwards, so we’ll see how it goes! I’m definitely looking forward to exploring the countryside on foot. Wow! That sounds great Audrey. China is by far one of my favourite countries to travel in. 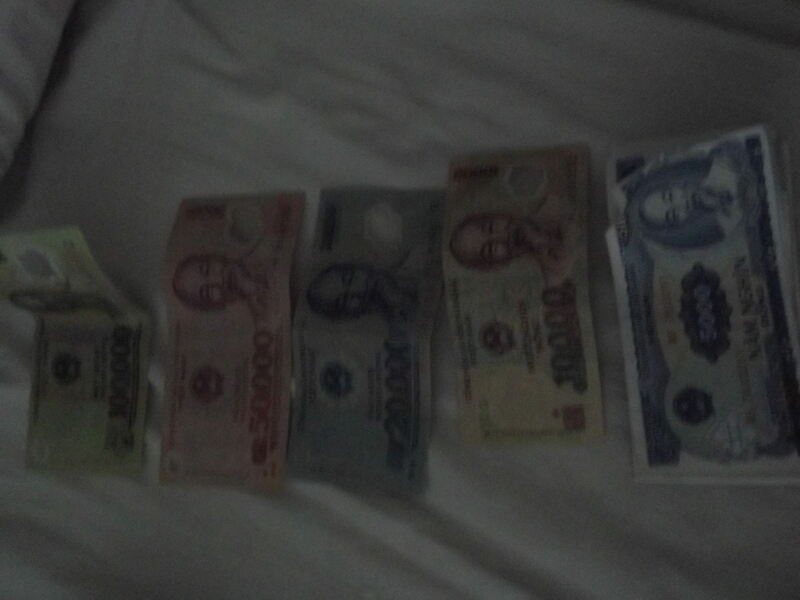 I’ve been 10 times with 3 more trips planned, it’s cheap, varied, cultured and still off the beaten track. 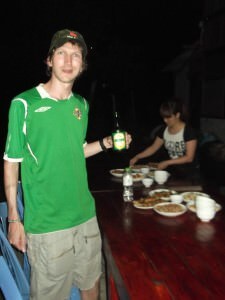 I didn’t see another foreigner anywhere on my last 4 trips to China! 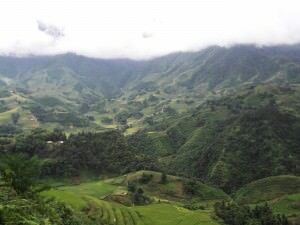 I’ve done a fair bit of Yunnan Province so let me know if you’re heading there and I’ll have some good tips (it helps that my girlfriend is Chinese!). 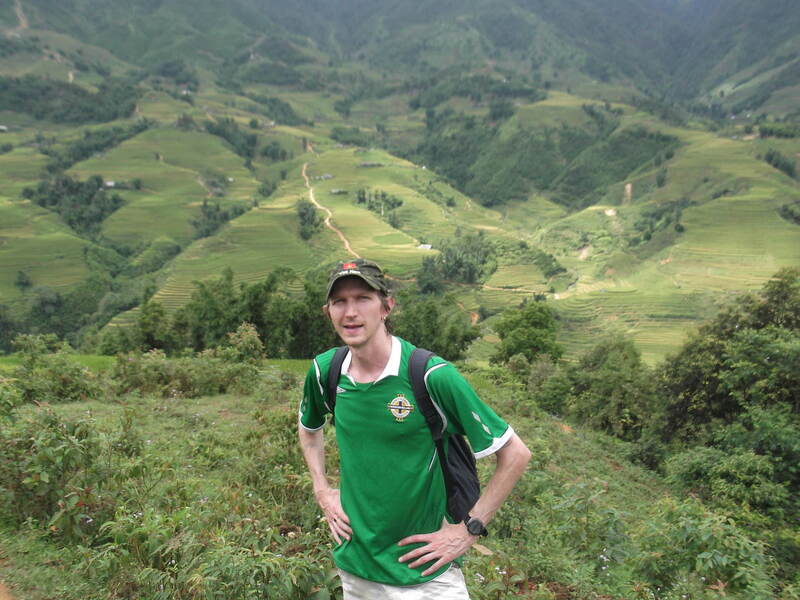 Just completed the Sapa tour and hike to TA VAN, really great and enjoyed it. I stayed at the Sapa Submit Hotel, I think thats where you stayed. Thanks for you advice on your web site.